Nebraska is known for its picturesque prairies, top-notch culinary scene, low cost of living and friendly people — but it’s also quite the innovation center. So many life-changing creations originated within our state lines, from the tasty Reuben sandwich to the highly useful chairlift design used by ski resorts around the world. We rounded up nine of the coolest inventions that can be claimed by the Cornhusker State — and some may even surprise you! Read on to learn about Nebraska’s storied past, and then share your own stories with us in the comments below. You might recognize this sweet and crunchy treat from your childhood — or perhaps you still enjoy it! 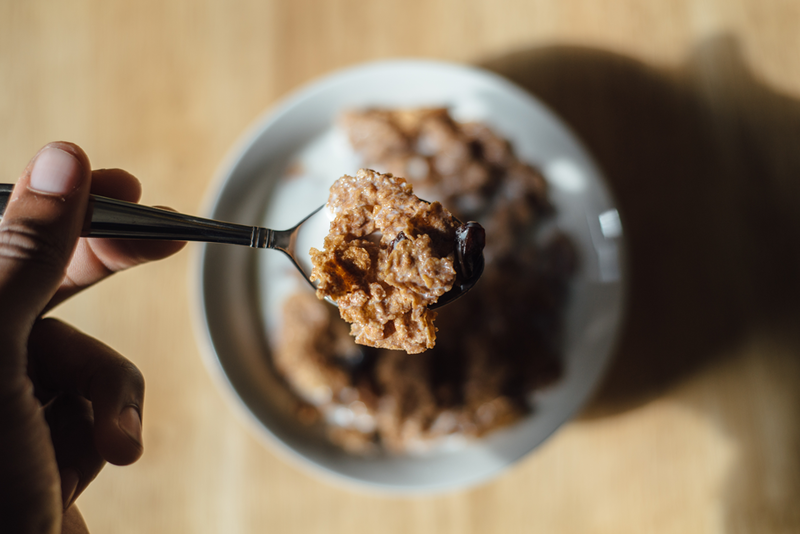 Either way, you should know that Raisin Bran was created in the early 1900s by Lloyd M. Skinner and Paul Skinner, owners of an Omaha food manufacturing business. They were the first to make the cereal, but the concept became very popular very quickly, and Raisin Bran is now manufactured under several different labels. Corned beef and sauerkraut stacked high on warm rye bread, then topped with melted Swiss cheese and Russian dressing? Yes, please. Although there are several claims to the invention of the Reuben sandwich, many believe that it was originally crafted by Omaha’s own Reuben Kulakofsky in the heart of the Blackstone Hotel. It appeared on the menu in 1925 (for a whopping 40 cents), and was further developed by the Blackstone’s Charles Schimmel, who insisted on soaking the kraut in Russian dressing at least 24 hours in advance. The Reuben is now a popular option at delis across the country. One of our favorites here in Omaha is served by Crescent Moon, conveniently located just across from the historic hotel. Give it a try! Many Omahans will argue that you haven’t truly lived until you’ve enjoyed a scoop of butter brickle ice cream. The famed flavor features high-quality butter brickle pieces (a sort of toffee) whipped into vanilla bean ice cream. It was originally introduced to the world by the Blackstone Hotel in the 1920s. You can still find the flavor at Coneflower Creamery, which happens to be one of our favorite ice cream shops in town (and one of the best places to cheat on your diet). Swanson (based in Nebraska) isn’t actually credited with creating the first frozen meal (after all, William L. Maxson’s frozen dinners were served on airplanes in the 40s), but they are definitely credited with popularizing the term “TV Dinner,” which is still used today. Swanson executive Gerry Thomas claims that he conceived of the idea in 1953 after the company found itself with a huge surplus of frozen turkeys after poor Thanksgiving sales. Swanson then used the poultry (alongside an assortment of vegetables and cornbread) to compose a frozen dinner in aluminum packaging meant to be heated in the oven. The meals were coined “TV Dinners,” maybe due to the fact that families ate in front of the television (very popular in the early 50s). 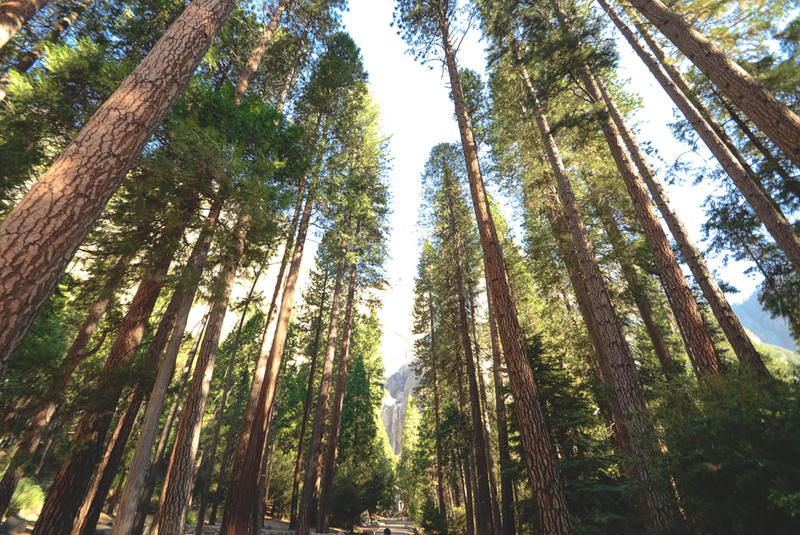 Arbor Day, a holiday dedicated to the preservation of nature and the planting of trees, is a well-known event celebrated nationally every April. It’s a day that we Nebraskans are very proud of, as it originated on our soil! Arbor Day was invented by J. Sterling Morton, a Nebraska journalist and nature enthusiast who used his forum to build enthusiasm about trees and nature preservation. On January 4, 1872, Morton proposed that there should be a tree-planting holiday, in which counties and individuals would receive prizes for planting the largest number of trees on that day. It is estimated that more than one million trees were planted around Nebraska, and we are grateful that the idea has lived on all these years. Learn more at the Arbor Day Foundation’s website. 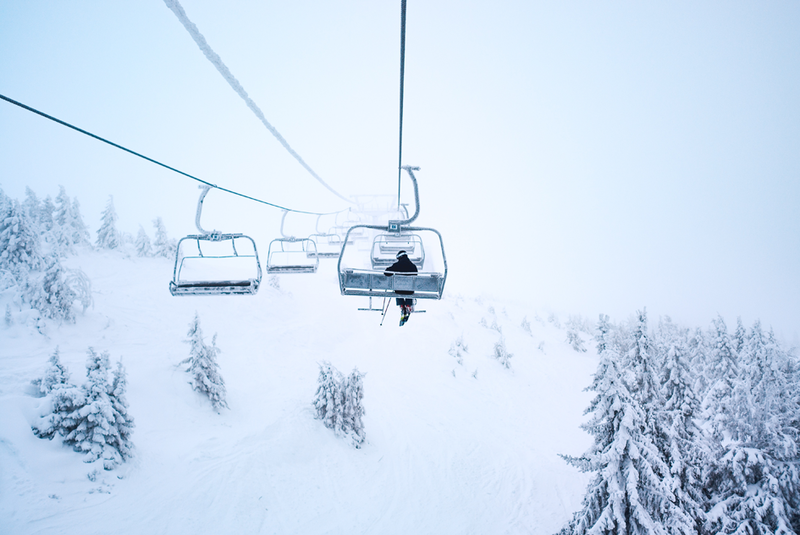 It might seem strange that the idea for an essential piece of ski equipment was developed in the Midwest (and not in, say, the Rocky Mountains), but the iconic chairlift design used to shuttle loads of people up steep, snow-covered slopes was created right here in Omaha. Union Pacific engineer James Curran came up with the idea in 1935, inspired by the mechanical conveyor system used for loading cargo ships with bananas. His idea turned out to be groundbreaking for the ski industry, and later that year, the first chairlift was installed in Sun Valley, Idaho. Is there anything that reminds you of summer (or your childhood) more than Kool-Aid? The beverage was created in Hastings, Nebraska by a man named Edwin Perkins in 1927, who conducted all of his science experiments in his mother’s kitchen. When he created the powdered drink, it was simply intended as a way to reduce shipping costs for fruit-flavored drinks, but it immediately took off and is still popular today. Hastings still celebrates its claim to fame by hosting a summer festival called “Kool-Aid Days” on the second weekend in August. 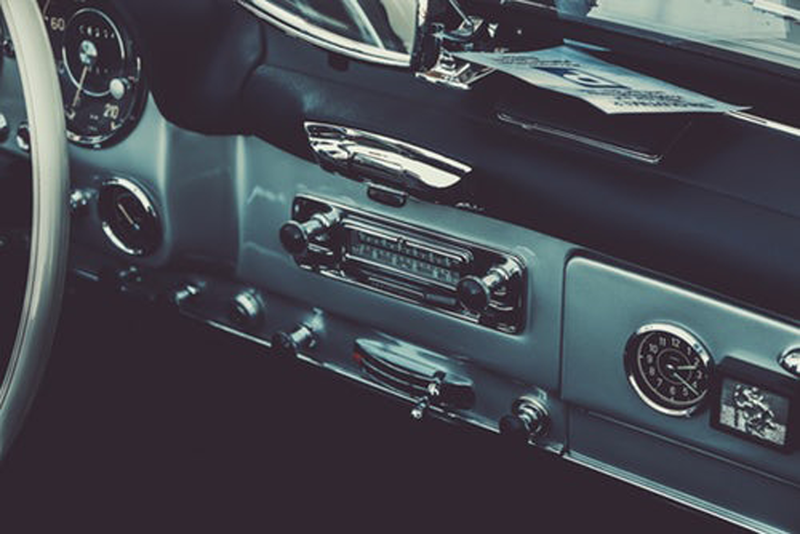 In 1949, radio was still the main form of entertainment for many Americans. Perhaps that’s why the Storz family (a very prominent family in Omaha) decided to purchase a radio station for themselves. They named Todd Storz as the manager of KOWH, and instead of playing soap operas or talk shows, he opted to play popular music. He made the decisions based on record sales, jukebox plays and other data, and his strategy resulted in KOWH being rated the top independent station in the country. Now, Top 40 radio stations are still the most played in America. Thanks, Todd! If you’re not a Nebraska local, you might not even know what a Runza is — and that’s a shame. The Runza is a doughy bread pocket stuffed with beef, cabbage (or sauerkraut), onions, seasonings and cheese. They are actually a Russian creation, but Nebraska is credited with bringing the treat stateside. Enjoy! How’s that for Nebraska pride? Have you heard of any other creations that were invented in Nebraska? Share your stories with us in the comments!